HOPE – Journey to my heart…. I believe in hope, but I don’t always live with the reality that I have hope. My journey to wellness has been a long journey. I have often wondered if my body will ever respond to the hope of my heart. For about 15 years I required a medication that put my body into menopause at 26. It feels as if Lupron robbed me of hope of a body that responds normally in my mid 40’s. And yet, I am reminded that I am not able to control the number on the scale, but almost every decision is part of my journey to wellness. This journey includes rest and activity, a healthy perspective on food as fuel and enjoyment, reasonable portion sizes, a balance of freedom and routine, cardio, stretching, strength, finding joy and laughter, making time for reflection and spiritual renewal…..
And so tonight I bought a scale that links with my fit bit and allows me the visual of embracing the changes that are unfolding before me. I am not sure what those changes will be but I feel hopeful. To honor the hope I am feeling it was clear to me that when my computer asked for the name of my scale, it was obvious. My scales name is hope. And my scale is not the only place I hold hope for my wellness. I also feel it in my heart and I am going to embrace that hope every day. Perhaps a place to rest, or maybe a time of day when you connect with someone you love, maybe it is the garden you work in and feel productive in your soul or your ipod that plays your worship music that brings your heart to life…. I am curious about where you long for Hope. 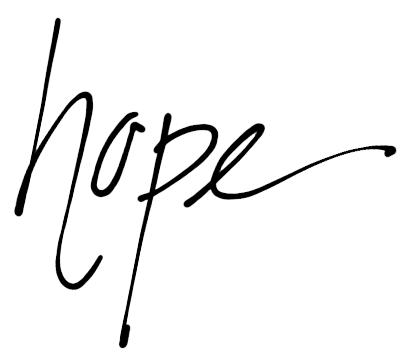 I am surprised where I named hope and it feels like in my decision to do this, there will be unfolding life to enjoy. Previous Previous post: It could have been me…. Next Next post: A tragic ending with more to the story….